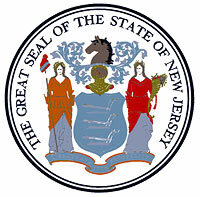 Due to the impending severe winter storm, the State of New Jersey has authorized the closing of state offices on Thursday, February 9,‎ 2017 for all non-essential employees. Essential employees should report to work on their regular schedule. The winter storm is expected to continue throughout the day, bringing heavy snow, gusty winds and reduced visibility throughout the State. Current road conditions are available at the New Jersey Department of Transportation website at http://www.511NJ.org. Always know the latest weather information! For those living in Central and Southern New Jersey visit http://www.weather.gov/phi/. For those living in Northern New Jersey and the New York Metro area visit http://www.weather.gov/okx/. Learn how to stay safe before, during, and after winter storms/extreme cold by visiting: http://www.ready.gov/winter and http://www.ready.nj.gov today! This entry was posted in Uncategorized, Winter Storm and tagged New Jersey, snow, snow day, Winter, Winter Storm. Bookmark the permalink.